Markham Infiniti | Blog | Markham Infiniti Reviews the 2017 QX50 AWD Premium! Markham Infiniti Reviews the 2017 QX50 AWD Premium! 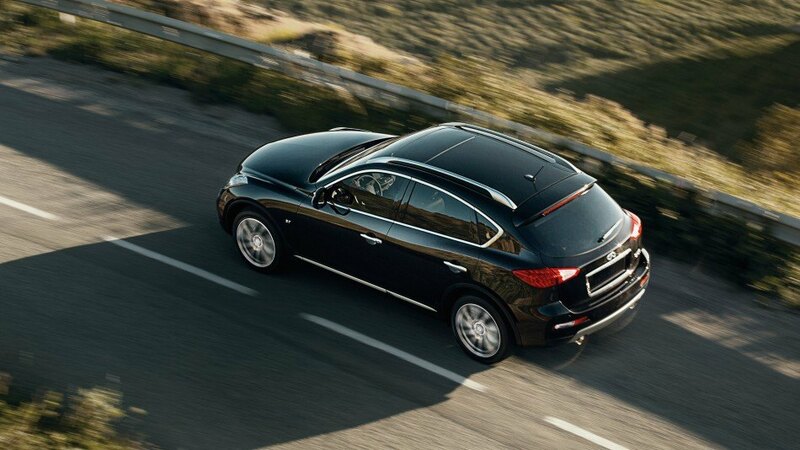 The 2017 Infiniti QX50 AWD Premium is the epitome of crossover luxury driving. It features a 3.7L 24-valve V6 engine with DOHC valvetrain having four valves per cylinder. 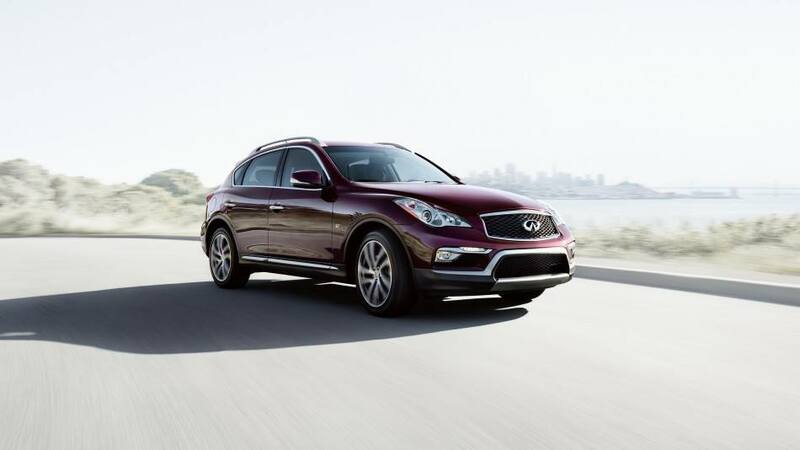 With optimized intake valves owing to the Continuously Variable Valve Timing Control System or CVVTCS and VVEL or Variable Valve Event, the QX50 AWD Premium delivers better fuel economy, lower emissions, and better performance. The 2017 QX50 AWD Premium is capable of generating 325 hp at 7,000 rpm and a torque of 267 lb-ft at 5,200 rpm. It features 7-speed automatic transmission with adaptive shift control, controlled throttle response in snow mode, speed sensitive steering, double wishbone independent suspension in the front with coil springs, stabilizer bar and shock absorbers, multi-link independent suspension with shock absorbers, coil springs and stabilizer bar in the rear, ventilated disc brakes on eight spoke alloy wheels with all season tires. View our inventory. The intelligent all-wheel drive QX50 AWD Premium has automatic headlights, integrated fog lights, LED brake lights in the rear, powered moonroof with sliding tinted glass having one touch and auto open or close, aluminum roof rails, rear spoiler, UV resistive solar glass, heated and powered outside mirrors, speed sensitive windshield wipers, intermittent wiper for the rear window and defroster for the rear window with timer and indicator light. The 2017 Infiniti QX50 AWD Premium has the customary intelligent key, automatic dual zone climate control, heating and cooling for front and rear seats, powered windows and door locks, entry or welcome lights and ambient light, reading and map lights, sufficient pockets and cup holders. Infiniti assures comfortably pleasant and resourceful drives with its leather seats, power adjustable driver’s seat than can be maneuvered to eight positions, the front passenger can power adjust the seat to four ways, leather-upholstered steering wheel and shift knob, six speakers with MP3 playback and Radio Data System, USB port, SiriusXM, steering wheel mounted controls for audio with illumination and the usual Bluetooth hands-free modes and Infinity Controller among others. 2017 Infiniti QX50 AWD Premium ticks all the necessary active and passive safety features including dual-stage airbags with occupant classification and seat belt sensors, side impact airbags for driver and front passenger, roof-mounted side impact air bags for all passengers, head restraints in the front, brake assist, ABS, Traction Control System, Vehicle Dynamic Control and Tire Pressure Monitoring System among others. 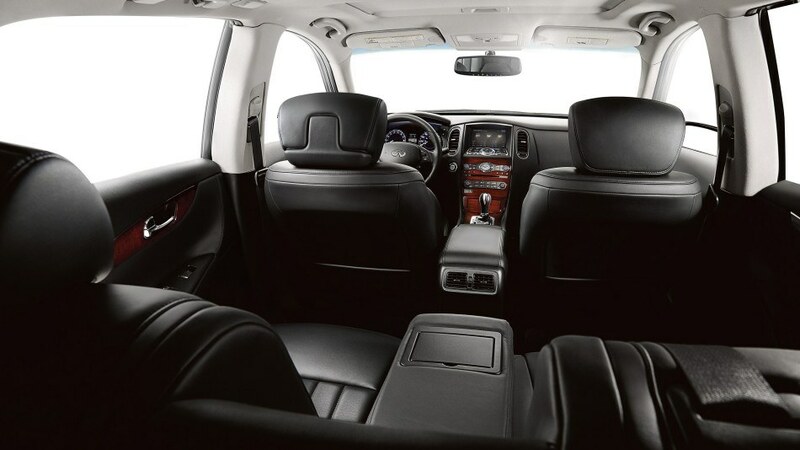 Comfort meets luxury in the 2017 QX50 AWD Premium! 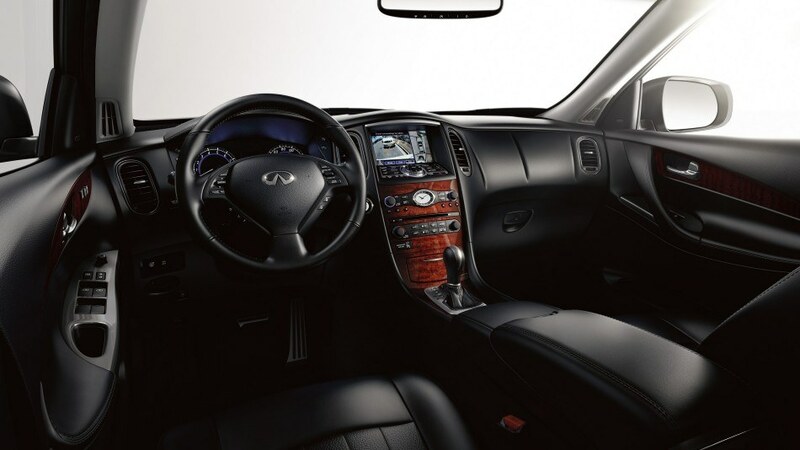 If you’re in the Markham or Toronto area, we invite you to book a test drive at Markham Infiniti today! View the 2017 QX50 AWD Premium on Infiniti Canada.